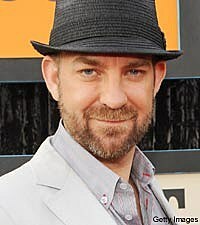 Did Sugarland's Kristian Bush really diss his family business on 'Oprah'? Not exactly. "You're gonna love this ... but I can't stand them," Kristian told Oprah Winfrey of Bush's Baked Beans, founded by his family and known for commercials about their "secret family recipe." So when Kristian spoke with The Boot recently, we had to ask him if his family was angered that he said that on one of the most popular TV shows in the world! "I didn't get in trouble, but I suspect Bush's got more press that day than it had gotten in months! So they probably owe me money," Kristian told us with a laugh. "Do you really want the true story? There was this big feud with the family at the end of the '70s, and one side of the family had to sell it off," Kristian continued about the Bush Brothers company. "My family never let go of [the fact that] the family business won't be passed down to the next generation. So I've always been kind of sensitive to it, but by the time I ended up in country music -- because I started my career in rock and it wasn't anything anyone talked about -- but in country music, they're advertisers! So I just tell the truth, but just not always all of the truth ... unless it's to Oprah! [laughs] And it's the truth -- I really don't like those beans." Sugarland, Kenny Chesney, Darius Rucker and Carrie Underwood all performed on Oprah's special country music bash, which originally aired back in April but will re-run today (July 29). Click here for local listings. The Boot will bring you our full interview with Kristian this Friday, including a candid chat about the duo's new CD/DVD set, 'Live on the Inside,' which hits Wal-Mart stores on August 4.